When it comes to selection, we can't be beat. Our 13,000 square foot showroom in Faribault contains just the beginning of what's available through our many manufacturers and suppliers. Whether you're shopping for a new kitchen or bathroom, a new room of carpet or hardwood flooring, or that just perfect wallpaper or window blind... you'll find exactly what suits your taste and budget at Faribault Interiors. Our many years of experience in Faribault makes us your best choice for your next remodeling or new-construction project. You simply can't compare our level of product and project knowledge with that of the sales associates found at a typical home center. When you come to us, the first thing you'll realize is that our experience can benefit your project and help you achieve the best value for every dollar you spend. What's more, your project will be completed just as you had imagined it to be... with the right products installed at the right time and by professionals whose work you can trust and rely on. Without charge, our staff will visit your home or office to take accurate dimensions of the space(s) involved in your project. This is critically important as each job we do must "fit like a glove" as designed and envisioned. You can rest assured that your job will be done right the first time, and this job-site measuring service is free to all our customers! Now that you've selected that perfect new kitchen.... how will you get it home? When you deal with Faribault Interiors you needn't worry about that with our free delivery service. We'll schedule an appointment for delivery that's convenient to your schedule and bring your merchandise right to your door. This is where we really shine... with top-notch professional installation crews for virtually all of the products we sell. You'll find our installation rates very reasonable and what's more, you'll rest assured that the installation will occur on schedule and to your complete satisfaction. Be sure to inquire about our professional installation services on your next visit. Not only can we professionally design your kitchen or bathroom layout, we can assist with your entire project - from wallcoverings and window treatments to tile, carpet and fixtures. Our professional on-staff designers have the knowledge and experience to help make your dreams come true - from inspiration to installation! 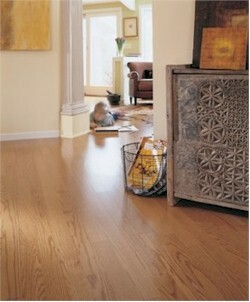 Faribault Interiors carries a complete line of products from the world's leading manufacturers. Click on the links below to find out more about these products.